Luigi Del Neri has signed a two-year contract as Juventus coach after steering Sampdoria to fourth place in Serie A. (CNN) -- Italian Serie A giants Juventus have appointed Luigi Del Neri as their new coach on a two-year contract. 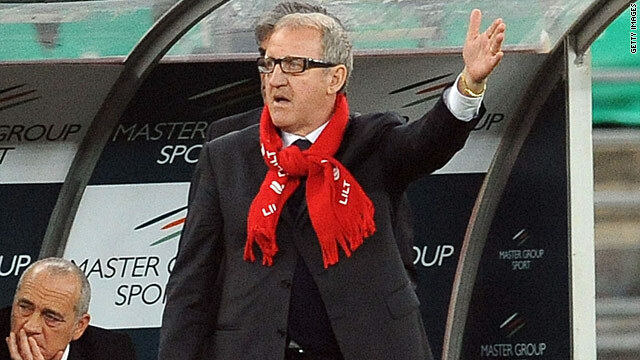 The experienced Del Neri replaces Alberto Zaccheroni, who left the club at the end of last season. Del Neri, 59, led Sampdoria to fourth place in Serie A -- and a Champions League spot -- but chose to leave last week to become Juve's fourth coach in just three years. A statement on thje club's official Web site said: "Luigi Del Neri is the new coach of Juventus. He has signed a contract with Juve for two seasons, until June 30, 2012. "Beppe Marotta, who becomes the new general director of sport, has signed a contract until June 30, 2013 and will report to club administrator Jean Claude Blanc." Last season proved a disaster for Juventus, with the club finishing seventh in the table after four defeats in their final seven matches. Zaccheroni had replaced Ciro Ferrara earlier in the year, but was unable to stop the team's slide out of the Champions League places and was always likely to not have his contract renewed. Del Neri, whose greatest achievement was guiding Chievo into the top half of Serie A, also proved a success during his two seasons with Atalanta, before leading Sampdoria into the Champions League in his one and only season with the Genoa-based club. Liverpool manager Rafael Benitez had been considered favorite for the vacant Juve position, before Del Neri made himself available by leaving Sampdoria last week.